To rise early in the morning, it takes discipline and nothing short of hard work. The wee hours of the morning never fail to bring our inner personalities and desires into conflict. I was up so late working hard for a living. I was up with the baby twice last night. It’s too cold to get up. If only my husband and I had resolved our conflict sooner. And so the excuses continue. Why is there always an excuse not to get up? God’s mercies are new every morning. To encounter those mercies in all their fullness, we must be intentional to make mornings easier if we want to rise early. My mission is to create a home that makes it impossible to not think about God. One way I am committed to making this goal a reality is to intentionally pursue Jesus, by daily emptying myself of me and kneeling before my maker in humble pursuit of His purposes for my life, relationships, and home. Once Samuel rises, intentional time with the Lord, in an intimate meaningful way, does not happen. There are far too many needs and tasks to attend to. Each night, Mark and I go through our evening routine. We prepare everything we need for the next day, and take care to ready our “quiet time stations.” The less we have to think about at 5 o’clock in the morning the better. When purposing to rise early the next day, proper preparation the night before ensures greater success. 2. Pursue accountability with others. Mark and I are committed to helping one another get out of bed. Being committed to rising early together has made it far easier than going it alone. In addition, you could ask another woman to help you – a sister, a mentor, a friend, etc. Accountability is a beautiful thing, and is so effective at helping me to get my rear end out of bed. 3. Pray for grace to change. We are prone to laziness and slothfulness. However, because of Christ’s life, death, and resurrection, we can have hope for change – to be intentional by grace. For that reason, we can pray that the Holy Spirit would ignite in us a passion for the Lord, a passion so deep and powerful that not rising from bed would be devastating. I am much more likely to follow through, or at the very least pursue, that which I am passionate about. May our hearts be filled with such passion for God that we thirst for the living water that only He provides. What about you? Are you an early riser? 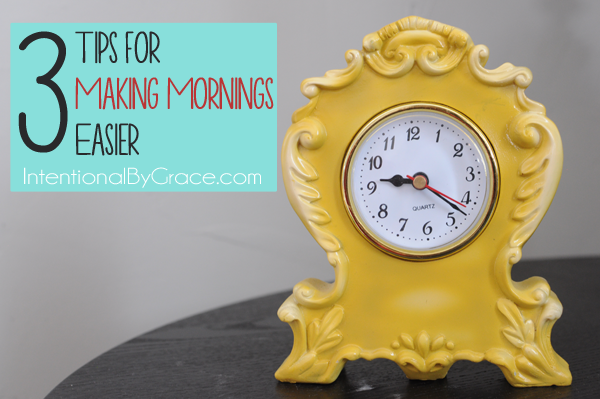 What tips do you have for ensuring you’re up before your kiddos? Update: 2/17/2014 – I am no longer purposing to rise at 5am. I have a toddler and baby who is still rising multiple times a night. Therefore, it is my goal to rise at 5:30am twice a week. The rest I sleep in until 6:30 or later. I still follow these principles regardless of when I will rise in order to help get my morning off to a great start the next day! Thank you again for an encouraging post. I have struggled with the very same thing for years… well 5 to be exact. (My oldest is 5) I have often shared that nothing happens spiritually if I don’t do it before the children get up. It truly helps me get my heart right before Him and makes me a better mom. I can see correlation between days that I parent well and days when I discipline myself to spend time in the word prior to their waking. My oldest has a “momdar.” An internal radar that no one warned me about. She knows when I wake prior to my feet hitting the floor. That has been a struggle to combat, as well as an excuse to not get up. Yes, I imagine the “momdar” can be quite discouraging. 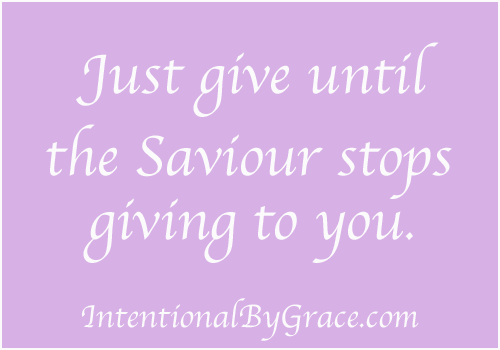 I would encourage you that there is SO MUCH grace available for these little years. I think our time with the Lord looks different from day-to-day and season-to-season, but it’s our heart motivation behind it all. I’m with you though. 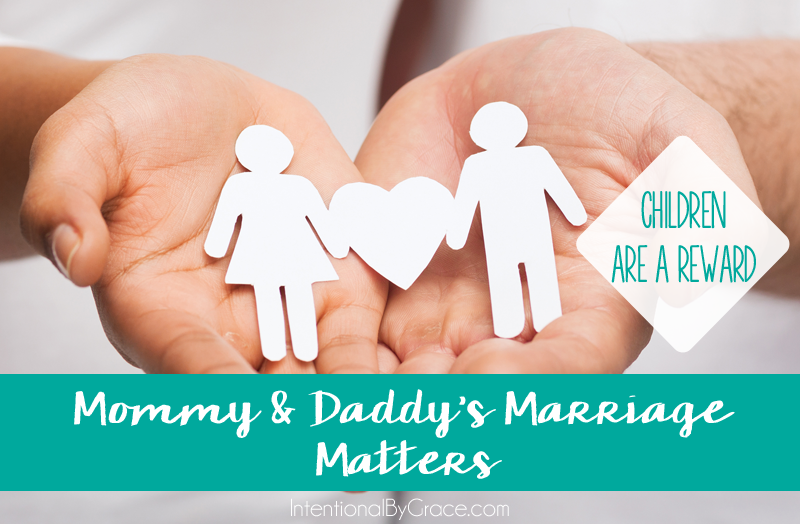 I notice a marked difference in my parenting when I’m up before Samuel…and sometimes even the hubby. Whew, I’m so glad you gave that disclaimer at the very end! It’s hard to do it when you’re not sleeping well for long periods of time. I didn’t fully realize this until my second and third children, both of whom did not sleep through the night for quite some time (10 months and 15 months). That said, I really need to maximize my mornings by purposing to get up earlier so that I wake up for my kids (and time with God) rather than waking up to the kids…and chaos. 🙂 Thanks for the encouragement. Exactly. There’s a balance here between embracing grace in this season and still recognizing that we should aim for more out of our day. Thanks for posting on this. I find my self in very similar territory as some of you – with three kids, 5 and under, and one of them who magically wakes up the minute I peel my eyeballs open. My best days are the ones where I have a huge chunk of time with The Lord before anyone wakes up, absolutely. I couldn’t explain the relief I felt. I honestly pictured her like the Proverbs 31 women – going to bed after everyone and getting up at some incredible hour… And to hear the grace she gave to herself around that stage of mom life was so surprising. It reminded me that this season is only a season, and God is not rating me on my minutes spent with him at the beginning of a day, but instead is finding joy that I focus my thoughts and perspectives on him in an ongoing way. While my introvert personality sure does better with alone time before tackling the masses, sometimes I need to relax a little bit in my disappointment with myself if that doesn’t happen in a morning. As another note, my mom kept her Bible in the bathroom, and without fail, would get her 10 minutes at least to herself, every day I remember of growing up. I’m sure it wasn’t her ideal, but it worked, and I think the consistency she was able to have that way has had huge benefit. I always tell my piano students… A little bit of practice over most days is better than a huge amount of practice on one day! If time with God is a priority, then whether we pull up a verse on you version on the phone while we are at the park watching our kids, plop something to meditate about on the fridge, or listen to a sermon while folding laundry, God will be faithful to grow us using His Word. I’m so thankful for the depth of spiritual encouragement I find here on this site of like-minded women. Thank you, ladies!